Friendship? 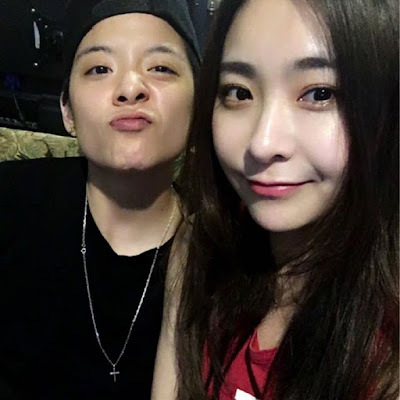 Yes, they have been friends for eight years now, and we are talking about f(x)'s Amber and Heo Chanmi. "Still the same after 8 years"
Chanmi is a former SM Entertainment trainee, she almost debuted as a member of SNSD but didn't make it.